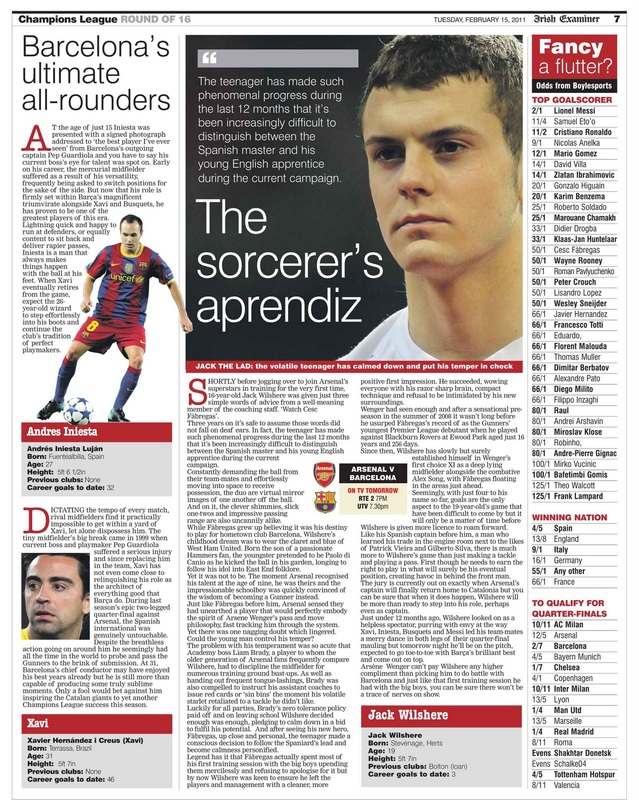 I spent today finishing off the Irish Examiner's Champions League preview supplement which is published tomorrow. It was a busy old weekend with features on Wayne Rooney losing his scoring touch, Barcelona's record league run, Internazionale closing in on AC Milan and the Gareth Bale 'will he/won't he' play saga, all having to be rewritten. Great read though including excellent contributions by Ben Lyttleton, Adrian Clarke, Iain Macintosh, David Shonfield and Iain Spragg. 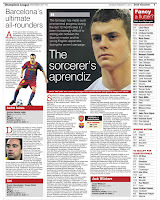 Once more a real commitment by the Examiner, at 24 pages, to quality football coverage. The Regional Press Awards are now open for entries. 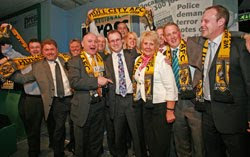 So please dig out your best work from 2010, get your entries in and give the awards your full support. The entry fee has been reduced to £25 and any profit this year will go to the Journalists Charity. The details of how to enter can be found at www.regionalpressawards.org.uk. There has been a lot of hard work behind the scenes, particularly by Bob Satchwell, to make sure the awards have been resurrected after being 'rested' last year. It's great news that they are going ahead and even better that they are now being run by the industry itself ... by the the Society of Editors and the Newspaper Society. If the industry doesn't celebrate the excellence that runs through its newspapers and applaud the journalists who go that extra yard every day, who will? I was particularly uncomfortable, when the awards were cancelled, with the suggestion that we should just applaud excellence during the good times. Those who work hard to maintain standards when the going gets tough deserve to be honoured. I am also delighted to have been asked to be chairman of the judges again. I will be contacting the illustrious and independent band who all give their time freely in the next few days. Now we have the awards back, let's make sure they are a success and that we don't lose them again. So please dust down your best articles, graphics, photographs, designs, supplements and newspapers from 2010, get your entries in and allow us to celebrate the very best in regional newspaper journalism. 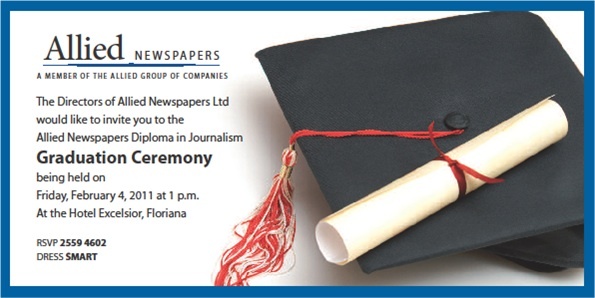 Congratulations to 13 journalists at Allied Newspapers in Malta who were presented with their diploma in journalism at a ceremony in Valletta on Friday. The presentation marked the end of two years hard work during which the journalists, from the Times and Sunday Times, attended training sessions with me, my colleague Andy Drinkwater and lecturers in Maltese law and government. They also had to work in a newsroom for 18 months, submit a portfolio of work, pass exams in journalism, government and law and write a dissertation on the impact of digital technology on the media in Malta. The journalists were mentored throughout by former Allied editors Victor Aquilina and Laurence Grech. The Allied Newspapers Diploma in Journalism diploma was set up in 2008 in partnership with Press Association Training who administered the training and accredited the award. 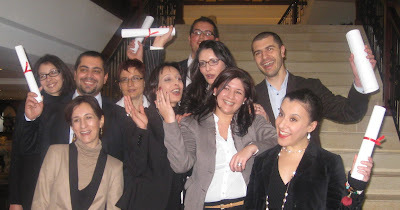 It is the first time a practical diploma in journalism has been run in Malta. 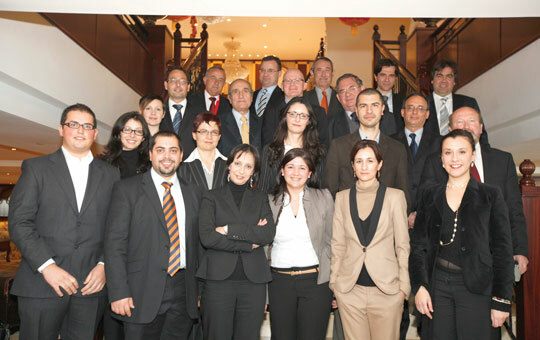 Allied was given a top national award - the Learning and Development Award at the Malta People Awards 2010 - for its investment in the diploma. I presented the diploma certificates on Friday with Allied MD Vincent Buhagiar and executive director Adrian Hillman at the reception. Those receiving the awards were Juan Ameen, Cynthia Busuttil, Claudia Calleja, Valhmor Camilleri, Fiona Galea Debono, Christian Peregin, Ariadne Massa, Mark Micallef, Caroline Muscat, Joanna Ripard, Veronica Stivala, Matthew Xuereb and Rosanne Zammit. Special awards were given to Ariadne Massa (portfolio), Joanna Ripard (journalism exam) and Fiona Galea Debono (government and law exam). Well done to all of them, it was a privilege to be involved. There is a fascinating twist in the Sunday Tribune story. At first, it looked as though the Tribune, which called in the Receiver this week and suspended publication, had appeared on Ireland's news-stands after all this morning. In fact it was four pages wrapped around the Mail on Sunday. There is inevitably lots of outraged reaction from Tribune readers and staff and an explanation from the MoS editor. 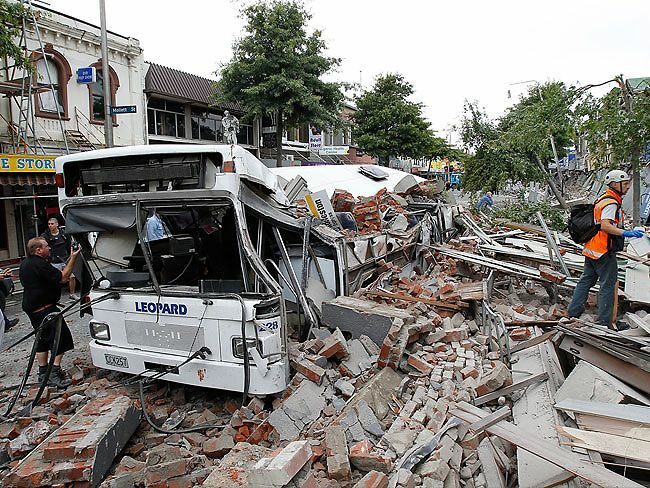 The story is covered by RTE. But all of that aside, it's interesting to see there are still newspaper sales departments with some 'street' creativity. My favourite newspaper marketing story comes from the 1980s when a strike meant that the Daily Express and Daily Star would not be printed. The Birmingham Mail ran the story of the strike and then went into Wolverhampton - the home of the Express & Star - with bill posters declaring No Express and Star today. Good tale ... although it may well be apocryphal. If anyone knows anything more, I would love to hear it. 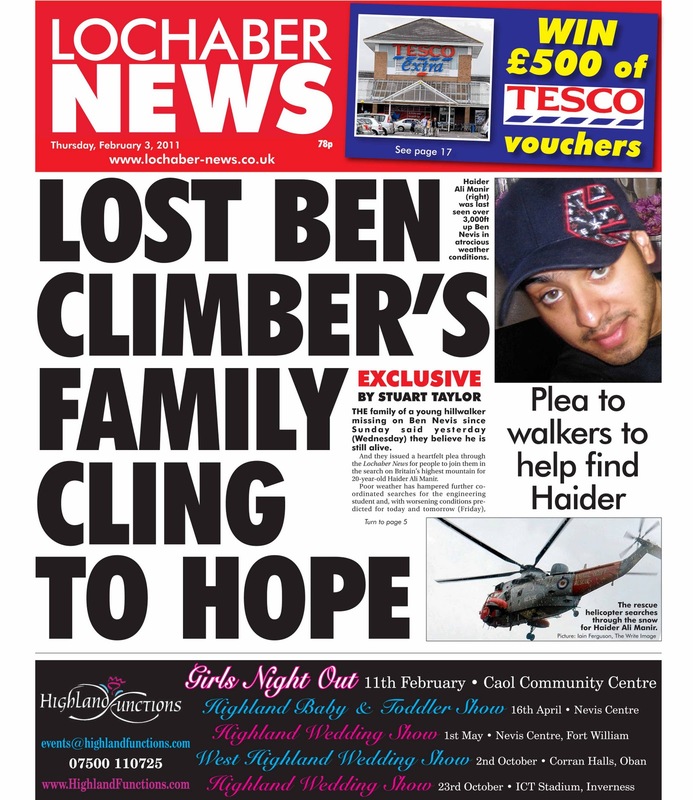 The new-look Inverness Courier and Highland News series were rolled out this week. My colleague Mike Brough and I have been working with the staff at both titles to modernise the papers while ensuring their character remains undiluted. The changes have rightly been subtle. 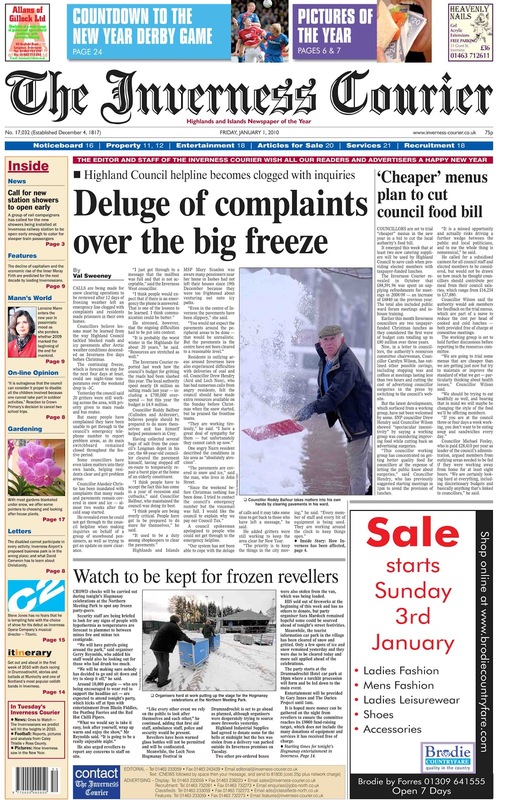 The bi-weekly Courier's script titlepiece has been turned solid and made bolder, the display typography has been changed from Dutch to Utopia Bold, the body copy made more readable, new artwork and a colour palette have been introduced and the paper is now an eight column broadsheet rather than ten-column. 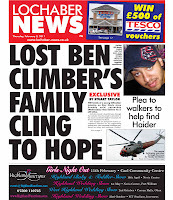 The red-top Highland News, North Star and Lochaber News also had a revamp, including a change to their slab-serif titlepiece. These were really 'reviews' rather than full scale redesigns. We concentrated on making the papers more readable and structured while retaining their traditional quirks and charm. It was great fun to be working simultaneously on an understated and traditional serif broadsheet and a full-on red-top tabloid. 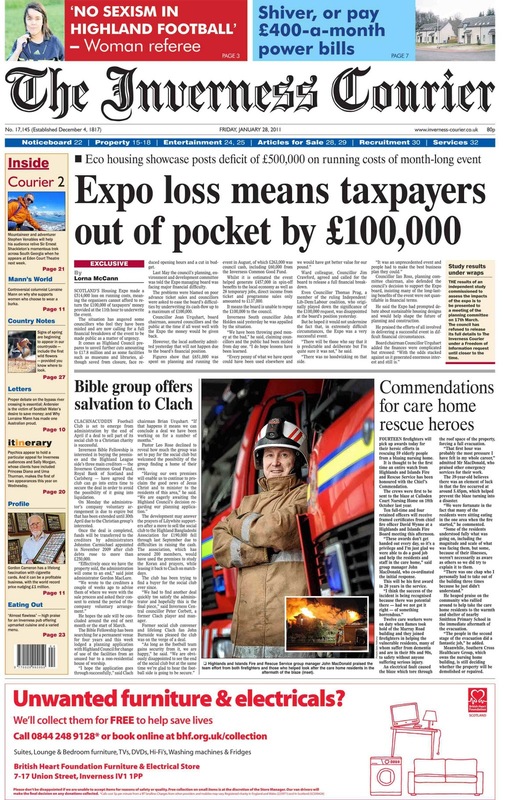 It was also rewarding to work alongside committed journalists turning out great papers that really matter to their communities and a management team looking to expand rather than contract. 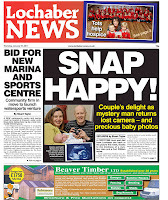 Editorial director David Bourn, former editor at the Evening News in Norwich and deputy editor of the Hull Daily Mail, is pleased with the changes. He said: “We were faced with the difficult task of freshening up the papers, giving them a cleaner, more logical and contemporary layout without losing the brand values and there is no doubt that Peter and his team have managed this – and some! Looks like we will be heading back, which is good news for Mike and me as the Scottish Highlands are a fantastic place to work and the views over the Moray Firth are probably the best from any newspaper office in Britain. The pubs (particularly The Castle, where many creative discussions took place) aren't half bad either. 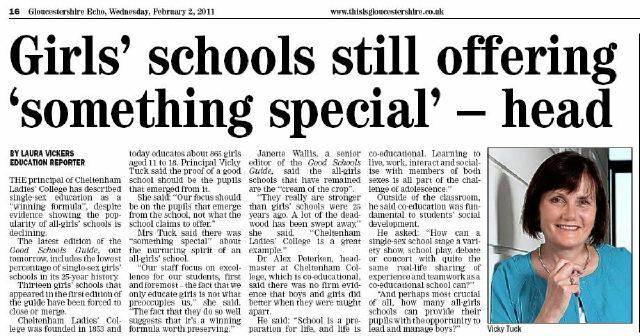 Sub-editor colleagues have been sending me this headline to illustrate the 'subs must have good taste and dirty minds' rule. It seems innocuous enough to most people ... but the subs who sent it clearly do have dirty minds. Further to my article on the Sunday Tribune it has been decided that the paper and its online version will not will be published while a buyer is sought. The staff are being paid throughout February but it doesn't look too hopeful as things stand. What chances finding a buyer in the current Irish economic climate? 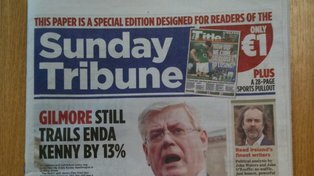 Can Sunday Tribune survive for a third time? Twelve months ago I was delivering training to a newsroom of talented and dedicated journalists at the Sunday Tribune in Dublin. 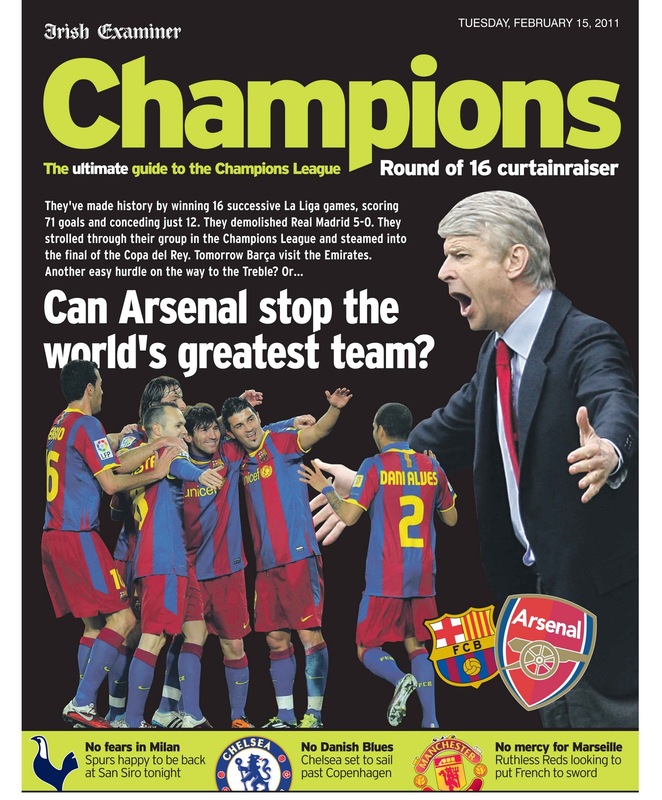 It was then a traditional broadsheet with a lighter touch and renowned for its excellent sports coverage. Edited by experienced Dublin journalist Noirin Hegarty, it went compact in September and there is a video of the design changes here. In newspaper terms it is a Johnny-come-lately, having been set up in 1980, but it has given a good account of itself in a crowded market over the last 40 years. Recently though, with the Irish economy in a parlous state, its sales have dropped alarmingly from more than 65,000 in 2009 to around 54,000. Today the 43 staff have the sword of Damocles hovering just above their heads. The journalists are writing stories for a newspaper that may well not appear. The Receiver was called in yesterday after Independent News & Media, which owns 30% of the paper, withdrew its backing. 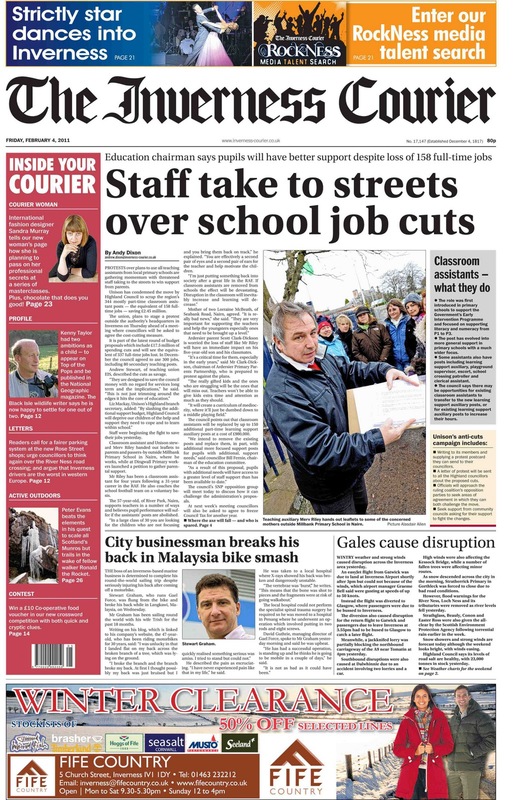 The staff should find out today whether they still have jobs and whether there will be an edition this weekend. If it does close it will be the second Irish Sunday to disappear in a month, following the Irish Sunday Star's demise in January. The Tribune is a tough old paper though - and no stranger to threats of closure. It survived receivership in 1982 and ten years later it was saved from bankruptcy when IN&M stepped in. Here's hoping it can survive a third time. There is a Facebook 'Save the Sunday Tribune' campaign and also an organised move to get people to buy the paper if it does come out on Sunday. Get your orders in. I am delighted to report that the Regional Press Awards are alive and kicking again, especially as they will be organised by the industry with profits going to the Journalists’ Charity. The Society of Editors Regional Press Awards, which are announced today, will fill the void left when the previous awards were 'rested' last year. This time around Newspaper Society members have pledged their support, as have Holdthefrontpage and The Press Association. Entries open on February 14, shortlists will be published in early April and an awards lunch will be held in London on May 11, to coincide with Local Newspaper Week. I will be chairing the judges again, making sure it is all meticulously fair. I know there are other awards around and all credit to those who organise them. But I have long held the view that the industry itself should celebrate the excellence that runs through its newspapers, applaud the journalists who go that extra yard every day, recognise the editors who invest in off-diary work and innovation - particularly in such testing circumstances. Well done to Bob Satchwell, the SoE's executive director, for working tirelessly behind the scenes to make sure this has happened. He will oversee the awards in consultation with Lynne Anderson, communications director of the NS. The details, including the categories which will recognise journalists from all fields from regional dailies, weeklies and websites, will be announced soon. In the meantime start digging out your best work and keep May 11 clear in the diary. I will post regular updates here. 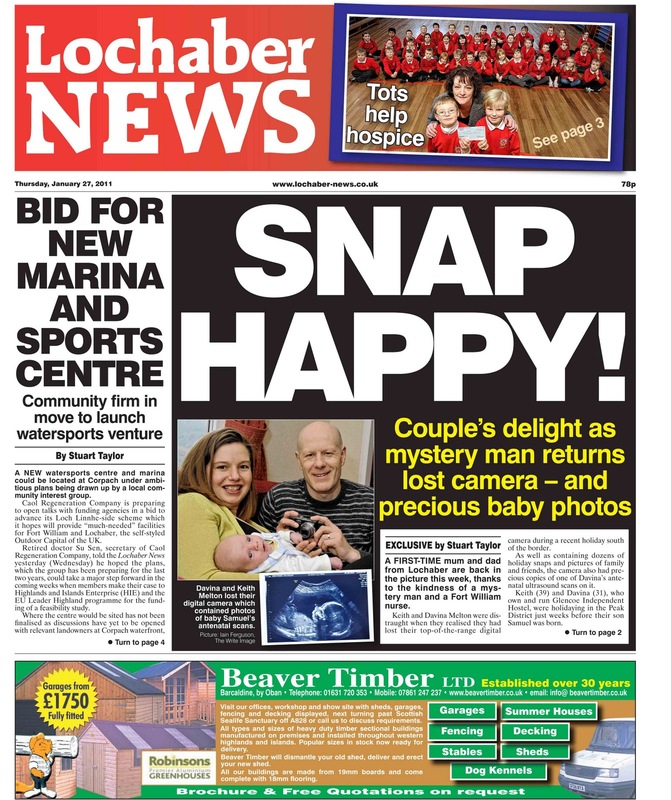 Comment from John Meehan, editor at the Hull Daily Mail: "This is really good news for the regional media industry at a time when good news is in short supply. Congratulations to all at the Society of Editors and the Newspaper Society who have made this happen. The event deserves strong support from the industry. Now more than ever we need to celebrate editorial excellence."